Let a Limousine take care of the driving on your Special Day in Hawaii. You will be picked up at your Hotel in Waikiki, and brought to your Wedding Location in style. Treat your guests to a little luxury. More romantic than a taxi or rental car. Looks good in the Wedding Photos, too. *For Limousine service outside Honolulu or for sightseeing charters, $20.00 per hour fuel-charge will be added. We will send whichever Limousine is available if you do not request a certain vehicle. $50.00 per hour will be added if requesting a particular name-brand of limousine (such as "Lincoln" or "Cadillac"). 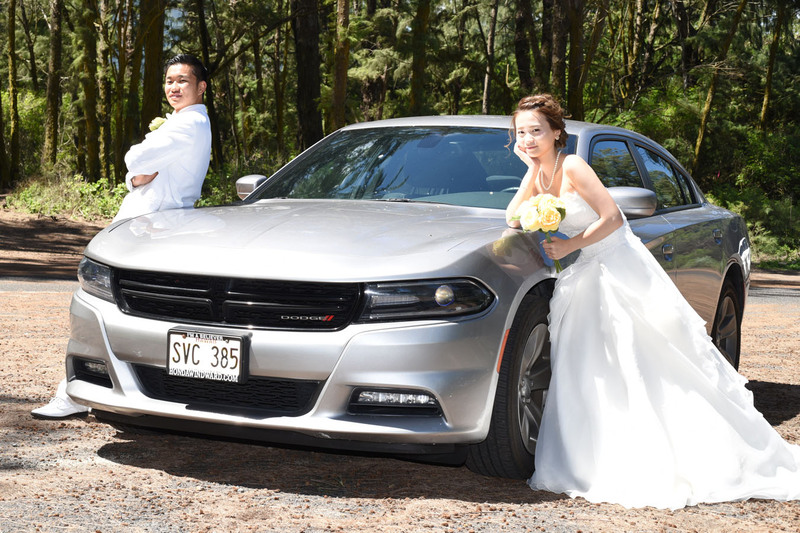 Wedding packages which include Limousine service are based on a 2-hour charter from Waikiki to Waialae Beach (or other Honolulu wedding location). Extra charges apply if you wish to be picked up outside Waikiki, or have your Wedding in another part of the island. Last minute requests for extra limousine time may not be available unless pre-ordered, as the Limousine driver may have another appointment after yours. We recommend that you reserve as much time on your Limousine as you would like at least one week before your Wedding day. Should your Driver agree to extend your Limousine service time on the day of your wedding, kindly pay him the extra Charter Fee immediately before beginning your extra Limo time. 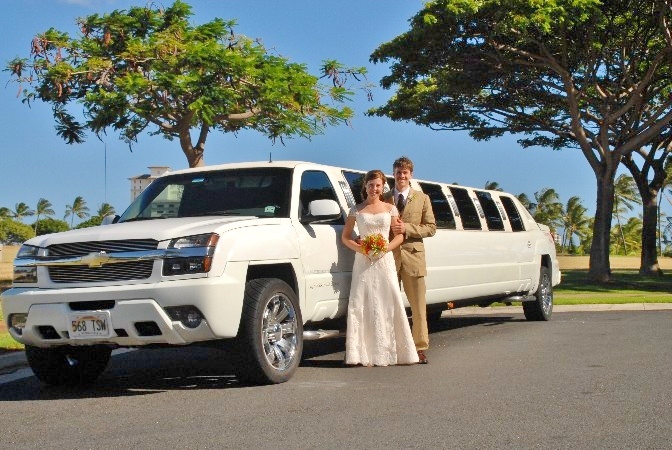 Limousine rates listed above are for roundtrip wedding transfers from Waikiki. Because of the high gasoline use of Limousines, please add $20 per hour if you wish to hire a Limousine Charter for long-distance sightseeing. For pick up and/or drop off at Honolulu locations outside the Waikiki hotel district there will be a one-hour extra charge added. We recommend tipping the Limousine driver $10 or $20 for Honolulu trips, or $20-$50 for long-distance trips.